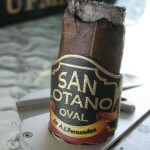 For our review this week, we’re smoking the San Lotano Oval, by A.J. Fernandez. My local B&M just got these in, and since the Oval has been such a huge hit for AJF, I thought I’d give it a try and see what all the hubbub is about. 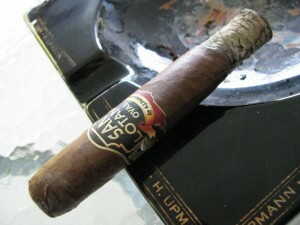 It is available in 6 vitolas, and I selected the robusto (5.5″ X 54 ring) for the review. In the Tampa area, the robusto retails for $8.50-8.75 for singles. 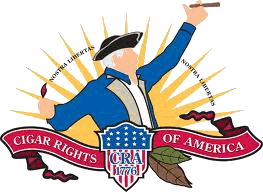 According to the company website, the Oval has a Habano 2000 wrapper, aged a minimum of 4 years, Nicaraguan binder, and an “AJ Fernandez Secret Filler” composed of both Nicaraguan and Honduran tobaccos. It comes in a unique ovoid cross-section, which to me looks like a semi-square press. 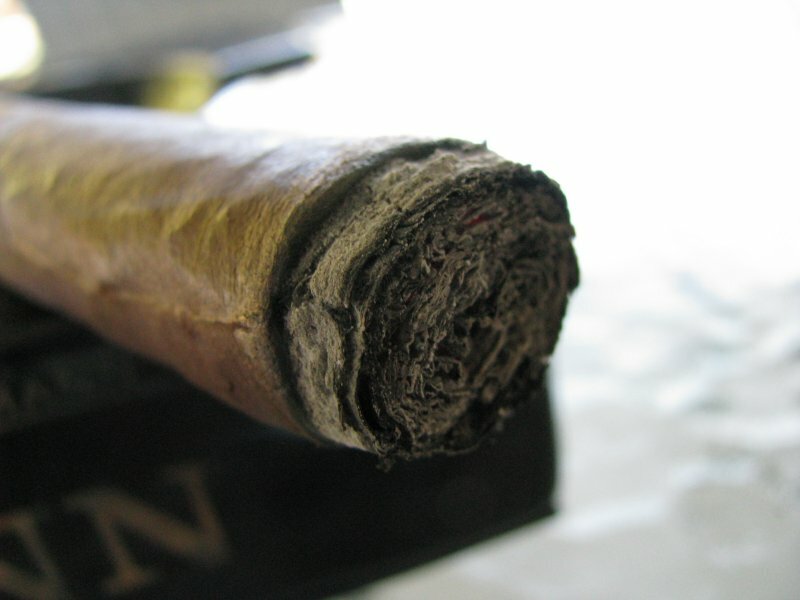 Think of a cigar that has been square pressed along one axis, rather than two. Upon removing the cellophane, my specimen is very solid; there are no voids or overly dense areas to be found. The wrapper feels and appears very oily and smooth. Mine appears to have been jumbled around a little bit during transit, as there are a couple of dings on the cigar, one of which has left a small (1/8″) tear in the wrapper leaf. Hopefully, the binder will hold true and not allow extra air into the stick that might interfere with the smoking. Before lighting, the foot gives a pleasing scent of hay and maybe a slight hint of cedar, while the wrapper provides the faint aroma of a tobacco barn. Mild, but pleasant. The prelight draw delivers very little in terms of flavor, but the near perfect construction is evident in what I’ll call a “Goldilocks draw.” Not too loose, not too tight. Just right. It’s a cool day here in Florida (63°), which lends itself to getting pure, clean flavor from a cigar. The Oval takes the light very well, and toasts evenly with little effort. The initial puffs produce a slightly vegetal, woody spice. The spice here is slightly cedarlike, and produces a noticeable but tolerable tingle in the nose upon retrohale. There are some “bright” notes of citrus as well – more a lemon/lime sensation, rather than the sweetness of orange or tangerine. Not an explicit flavor, just something that brings these flavors to mind. The smoke in this early portion of the cigar is quite mouthwatering, which I understand to mean the pH is lower than that present in the mouth. The burn in the first inch has a slight wander, but not too bad. The hole in the wrapper mentioned above is thusfar a nonissue, and produces no problem with the draw or light. Into the second inch of the Oval, the spice has mellowed considerably. I have a cup of plain, black coffee as accompaniment today, and the pairing is actually very complementary. The flavors play together quite well. The burn has continued to have a small bit of scalloping around the edges, but I am impressed with how adept the cigar is at self-correcting. There are now some nice, darker flavors of cocoa or espresso. These are very clean, however, in that they dissipate quickly from the palate. In the 2″-3″ portion of the cigar, the taste has gotten a more creamy feel in the mouth, with little of the spice that was prevalent earlier. The coffee remains, and even a more tea-like flavor as well. Most cigars will respond well to a slow cadence, and the Oval is no exception. Slowly smoking this cigar will reward you with wonderful bursts of flavor – cocoa, coffee, nuts, mild cedar can all be picked out. I was not especially careful with the ash, but it impressively held on to about 2.5″. The texture of the ash itself is also noteworthy – it has a very fine, dimpled grain to it. Toward the end of this phase of the smoke, and into the final stretch, the tingle I experience in Nicaraguan tobacco returned. However, it was never harsh nor acrid. It was well balanced with the other tobaccos and remained flavorful and comfortable, presumably held in check by the addition of Honduran tobaccos in the filler. The sheen from the oils in the wrapper is remarkable at this point, and appears to almost be fleeing the heat of the ember. The cigar produces copious amounts of smoke in this section, as well. That’s not as important to me as it is to some folks, but it was very pronounced here. The coffee flavors remain dominant and up front throughout. It is worth mentioning that I never had to relight this cigar, nor even touch it up. Every time even a mild variance occurred, it quickly corrected itself and I was on my happy way. Within the final few puffs, it did become slightly astringent, but this dissipated with a slight purge. 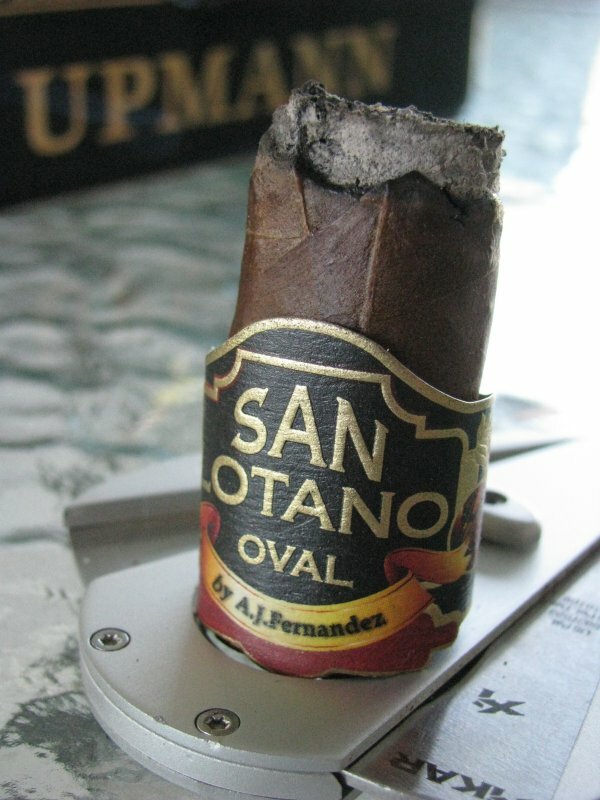 The San Lotano Oval is indeed a big hit for AJ Fernandez, and after smoking this one I can see why. It was a great cigar all around. The flavors were bold and pleasurable, and while they varied throughout the smoke, the profile was very consistent and harmonious. The burn and construction were flawless and provided a worry free smoking experience. It is bold enough that you know you’re smoking a cigar, but approachable enough for even the neophyte cigar smoker. While not inexpensive, the pricing is definitely in line with the experience provided – I have certainly paid the same for much lesser cigars. Overall, I am very impressed with the San Lotano Oval, and would highly recommend it to anyone. According to my rating system-in-progress below, it scores a 92. A great cigar.